Viewed from the northern edge of Turnberry Point on a fine August afternoon. 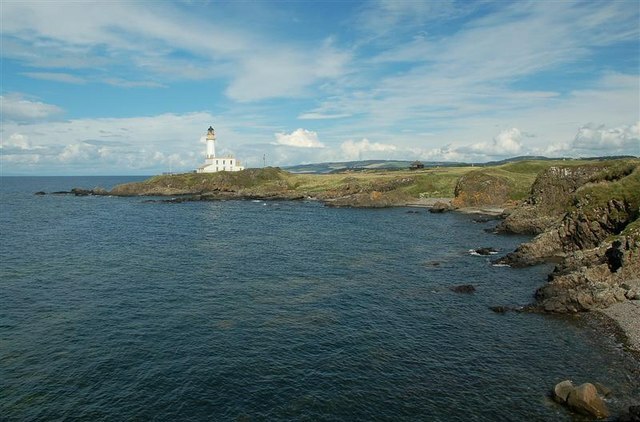 Was the lighthouse built 'on' or 'near' the site of Turnberry Castle? Current maps seem to suggest the ruins, seen here to the right in the second photo inland of the lighthouse, are the remains of the castle. The castle was where Robert the Bruce spent his childhood, having probably been born there in 1274AD.